Welcome to Stop the Spray! This is a small information only site due to the ever increasing calls and emails we receive. who did not realize that this type of thing was still legal anymore. helping or supporting our stance, so that has been very disheartening and frustrating and a rude awakening for many conservative supporters. such as VISION and VISION MAX, even though it is banned in other provinces and countries. Although not expected for an herbicide, glyphosate exposure damages or reduces the population of many animals, including beneficial insects, fish, birds, and earthworms. In some cases glyphosate is directly toxic; for example, concentrations as low as 10 parts per million can kill fish and 1/20 of typical application rates caused delayed development in earthworms. In other cases, (small mammals and birds, for example) glyphosate reduces populations by damaging the vegetation that provides food and shelter for the animals. Election Time Coming Soon Again! Time to Really Think about your vote! we decided to fight back against being sprayed with toxic sprays. It might give you a heads up on what you might encounter if you are starting up a group in your area. NDP: We first contacted our MLA who is NDP, and after he got lots of calls and complaints, and with a little gentle persuasion, he came on board and helped us in various ways with our fight. He helped us get meetings set up and more. The NDP are against aerial spraying officially, and I think unofficially, against spraying toxic sprays in general, but they have not committed to that on paper yet I believe. Liberal:Unfortunately, we did not get any calls or emails back, although in all fairness, we do not have anyone in our immediate area. The fact that no one called or emailed back was not good. PC: Since Mr Peter Mackay is our MP, we really pulled out all the stops here to get some help from him. We were really hoping he would come on board and help the area. However, we did not get any help or assistance, or even a return call or email from Mr Peter MacKay. We sent various phone calls, messages, emails, we even tried to speak with him in person, but even then he was short and dismissive, and basically passed the buck suggesting we instead talk with Mr Parent and that was it from him or his office. Extremely disappointing since he is from the county, but not surprising from what we heard from other groups etc. and also hearing that his family used to/or still may own woodlots themselves. The Dept of Environment/Mr Mark Parent did agree to meet with three of us, and we were hoping for help from him as he himself questioned spraying before he become the Minister of Environment. But he also just passed us along to Dept of Natural Resources Minister, who was not even polite enough to get back to us at all. Overall, all that happened was a lot of passing of the buck via emails and phone calls that resulted in absolutely nothing being done. Very, very disheartening, but very eye-opening to the whole governmental process and really showed everyone when the chips are down and you have a very serious issue, no one in the pc government helped us at all. Green Party: We actually got a call back directly from the party leader, Elizabeth May, which was very surprising. She was quite helpful, very approachable, and knowledgeble. She actually got us the meeting with Mr Parent and assisted in various other ways. We were very surprised such a busy woman actually took time out of her hectic schedule to try and help us. She has been speaking out against the spraying of pesticides/herbicides for decades. This professional really stood out, listened to our concerns and actually HELPED us! Really, after the reception/neglect we got from the other parties, it was such a relief to see that not all politicians are the same, and that health and safety issues are important to some parties. **To sum up, our current conservative government really let us down which was a huge disappointment. They did nothing to stop the spraying, they ignored the wishes of our Municipality who ALSO requested to have the spraying stopped by a unanimous vote, they did not assist us with anything, and they uphold their stance that pesticides and herbicides are 'safe' for human beings even though it is banned elsewhere in Canada. The Liberals did not contact us at all, so all we can comment there is disinterest. The NDP and Green Party both assisted and showed support, but clearly and by far, the Green Party leader and staff went as far as they could in their help. So when it comes time to make your vote count, think about all the things that really matter to you personally. Don't let parties tell you what they think is important, look at your own personal needs. Are they being met? Are all the things that are important to you being dealt with properly? Are you worried or concerned about certain things going on, how things are run? Look around at the polluted environment in general, can you swim and fish in the waters near your home? Not only environmental issues, look at the big picture...are you happy with the roads and infrastructure in your area? Are they doing anything to help with lost jobs, or failing businesses? It all boils down to, do you really feel that the person you are going to vote for would even listen to you if you had a problem? Sure everyone is helpful when they are running for office, but when the chips are down, who will really help? We KNOW these particular people in office right now did not help us in any fashion. We need to put people in power to run our province way we want it run, not just to dismiss us and do whatever they they want after they get in. It is now May 2009 and another election is soon upon us in Nova Scotia. Please make your voice count, mention stopping pesticide use to the party you are supporting! No new spraying in our area as of yet, but many are keeping their eyes and ears open. It is now June 2008 and the people are wondering if anything new has been put in place by the conservative government to protect people and wildlife from toxic sprays? After a quick email to the Dept of Environment local office, we have heard NO, nothing has changed, they still claim/think that pesticides are SAFE. SEPT 24TH 2007 !! SPRAYING CANCELLED IN SUNDRIDGE!!! The families, farms and wildlife can breathe a sigh of relief for this year!!! but we have to keep up on things so we don't have to worry about it again in the future or other locations!! (vs) Forestry Products, Dept of Environment, Dept of Nat Resources.. Health Canada is not on the panel but will be present. Come and Be Heard! Now is your chance to get your questions answered by the current government in power!!!! We support a sustainable forestry industry, we do NOT support the use of herbicides (pesticides). There are other alternatives to using toxic sprays in the forestry industry. Stora-Enso has not used herbicides since 1997 (hopefully the new owners do as well), the NS responsible woodlot owners group CONFORM has NEVER used herbicides..so there is a better answer, a more socially and environmentally way to do forestry! 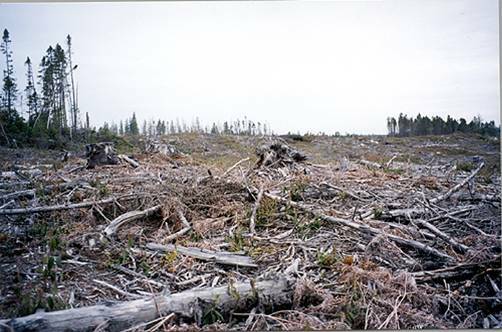 Get rid of destroying the province with clear cutting and spraying will also not be necessary. Selective cutting, manual or mechanical thinning, growing uneven aged forests... our wonderful unique Acadian forests left to grow to be naturally bug resistant, naturally fire resistant too! Herbicides, Insecticides, all fall under the heading of Pesticides in Canada. Many pesticides have been banned in other countries and across Canada in over 150 communities. Health Canada says that VISION (one of many herbicides that contains glyphosate) is safe, but The Public Health Agency of Canada says that pesticides and herbicides, including ones that contain glyphosate, cause cancer in people, especially in children. Here is the government website: Public Health Agency of Canada <-- apparently they have moved this since we posted it.. so will supply some new links as we find them again (unless they deleted it!) Here is a quick link to the new gov't site that mention that pesticides are hazardous to health..still looking for the fantastic article they USED to have. Scroll down the Natural and Built Environment and see the Pesticides headline: www.phac-aspc.gc.ca/dca-dea/publications/healthy_dev_partb_5_e.html to see a little bit on pesticides although everything seems to be buried and scattered info on the sites lately. The David Suzuki site also used to have some good info on it about pesticides. Cancer used to be a word that you heard about affecting other people, now many families in Nova Scotia are living with, and losing, loved ones to cancer, the statistics supposedly now 1 in 2 people getting cancer! To spray poison onto the earth just doesn't make sense. There are other ways, other alternatives. To stop spraying toxic chemicals is a no-brainer to us, we feel it should be a no-brainer to our government too. If spraying poison from the air onto the earth doesn't make sense to you either, call your councillor today, call your MLA today, attend a municipality meeting and ask them to draw up a resolution to ban pesticides. Tell everyone how you feel and ask what you can do to Stop Toxic Sprays in your area! You're a taxpayer and that's what they are paid to do, so call them today! Nova Scotia: Still a Healthy Environment to Live In? Many people move to Nova Scotia each year believing that they are moving to a less industrialized, safer, cleaner environment. In Pictou County this year alone (2007) close to 1200 hectares of land are set for applications of herbicides. Across Nova Scotia, close to 11,000 hectares are slated for spraying. And this does not even touch upon the amount of pesticides used in agriculture! People are starting to take a second look at moving to, or staying in, Nova Scotia. Denmark banned glyphosate because it was found in well water. Repeated reports of Fish Kills in Prince Edward Island bring to mind the dangers of the use of pesticides. There are a lot of good reasons to stop using pesticides, one being it can be sprayed directly or leech into waterways. Our forests and woodlots of Nova Scotia have many rivers, larger streams and seed streams running through them. This is not a perfect world, spray and drift happen, spills and problems occur...why not just eliminate toxic sprays altogether? Organic farming, responsible woodlot owners such as CONFORM and FSC standards for the forestry industry, and alternatives to pesticides around the home are needed, and needed fast. See this drawing of Pesticides in the Atmosphere to explain the movement of pesticides which comes from the USGS website (http://water.usgs.gov/nawqa/pnsp/pubs/fs152-95/atmos_1.html) To quote the site " In many respects, the greatest potential for adverse effects of pesticides is through contamination of the hydrologic system, which supports not only human life, but aquatic life and related food chains as well. 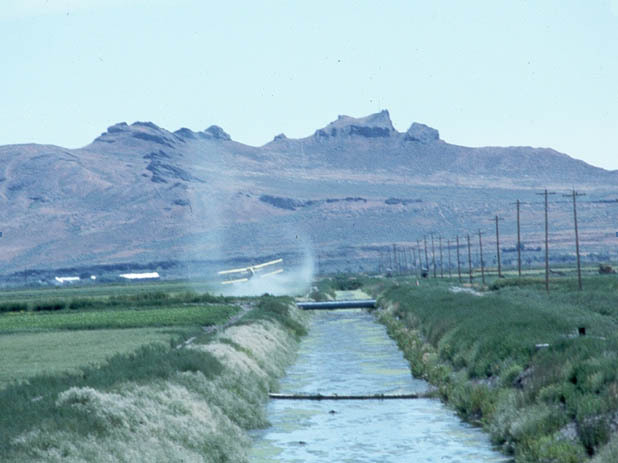 Water is one of the primary means by which pesticides are transported from their application areas to other parts of the environment. Thus, there is potential for movement of pesticides into and through all components of the hydrologic cycle (see Figure 1)." Check out the Monsanto website, makers of Agent Orange and Vision and VISION MAX among other pesticides/herbicides. Click on their msds and labels to read about the toxicity and effects on animals, such as skin irritations to rabbits that can last up to 14 days. Hearing about yet another fish kill in Prince Edward Island begs the question why these pesticides are even allowed anymore. This is not a perfect world nor a perfect laboratory setting. 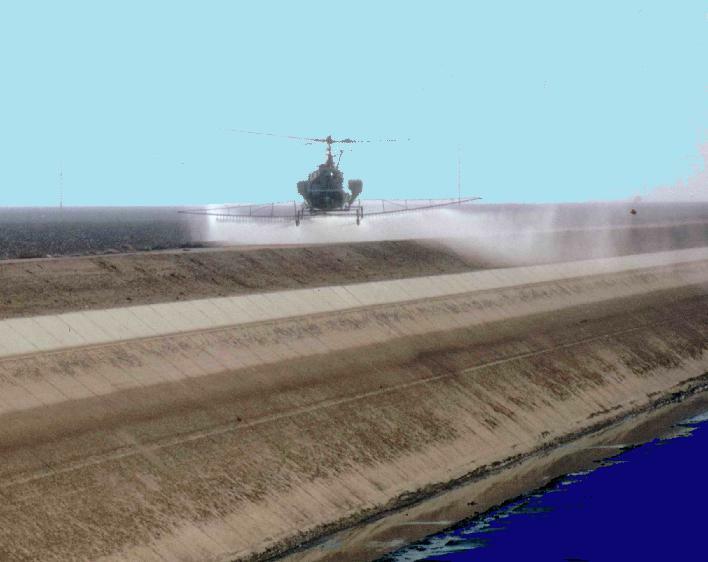 Spills and mistakes can happen, drift from sprays and overspraying can cause leeching into the ground and water. Denmark banned glyphosate because it was found in their well water. The Sierra club of Canada says of glyphosate long term toxicity: Lifetime studies on animals have shown excess growth and death of liver cells, cataracts and eye lens degeneration. Although glyphosate is not considered carcinogenic to humans, only a small number of studies have been carried out. These have shown a range of tumours in the thyroid, pancreas, and liver. In the Sundridge area, there are streams that run through the area scheduled for spraying. These streams have fish and are the drinking waterways for cattle and a miniature pony farm. Their feed is also grown on the adjacent lots to the spray area. Who will be responsible for these animals if they are exposed? In the same line of thinking, we are also animals, so how can it be safe for us? Also Sign the online petition we have set up at www.ipetitions.com/petition/stopthespray This is a free petition, you do not have to pay anything (sometimes a note from the owners of the petition site have a pop up asking for donations) That is not our group, and no money goes to us. So call your local MLA, call your councillor..ask them for help! Contact your local Dept of Environment and put in a complaint! If every municipality in Nova Scotia goes green we can create a safer, more healthier environment for ourselves, our children and grand-children, our animals, our province. Don't Delay, contact your local government official today, and STOP THE SPRAY!